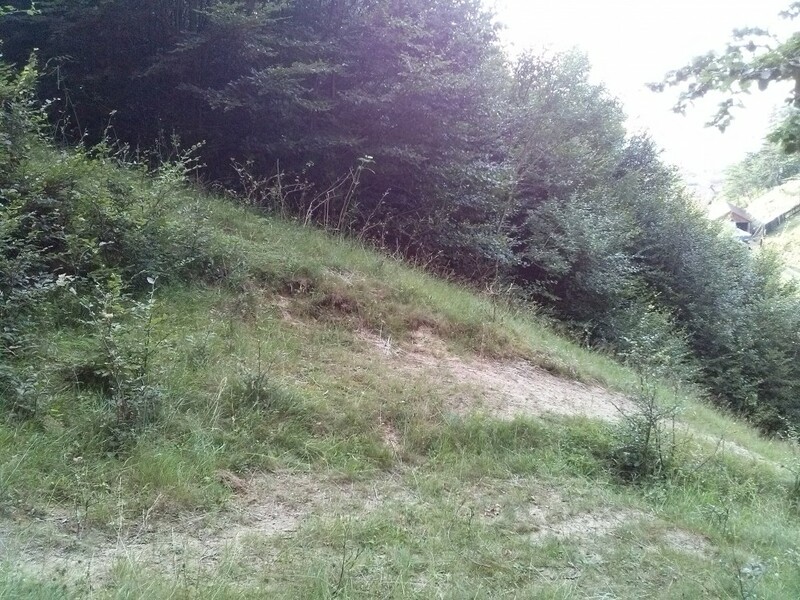 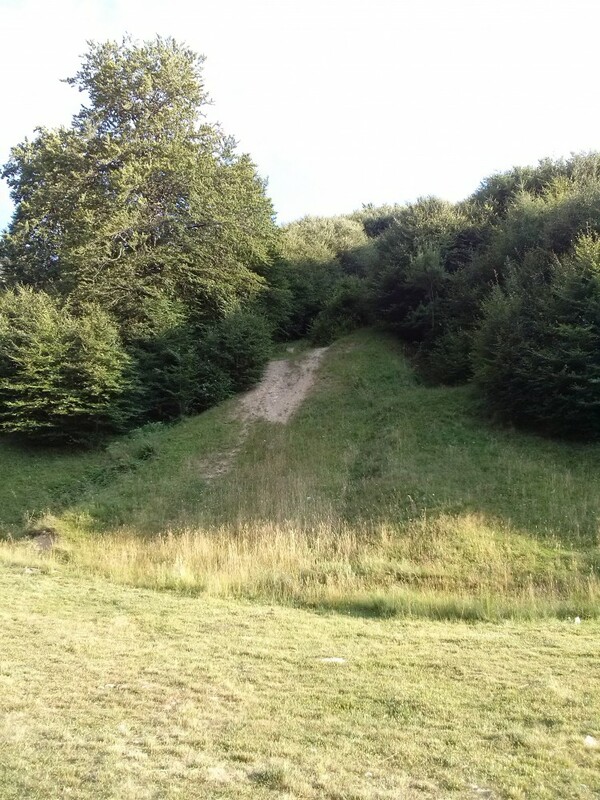 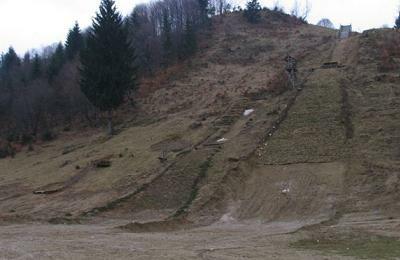 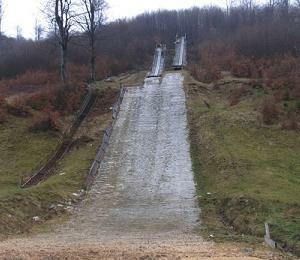 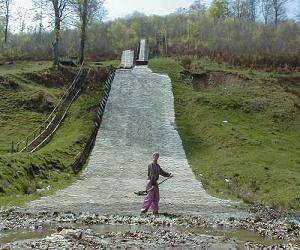 Already in 1936 the first ski jumping hill was set up at Râşnov. 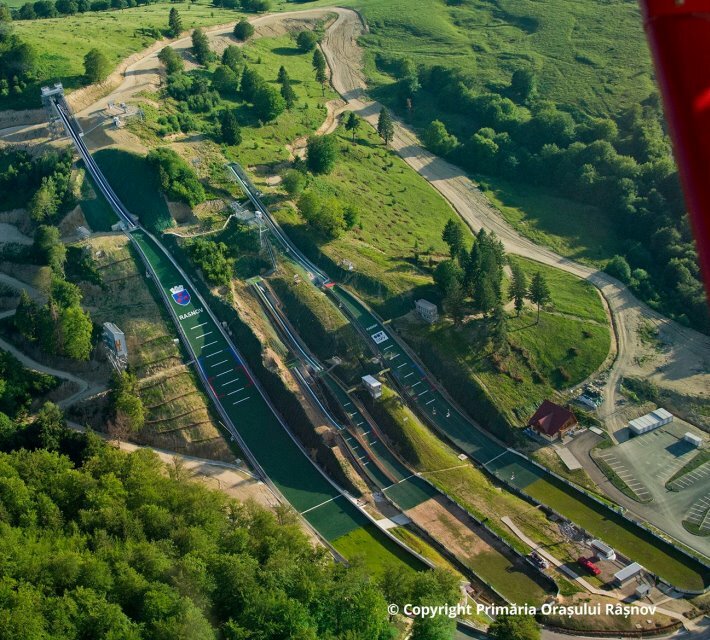 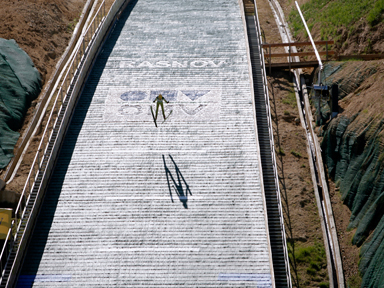 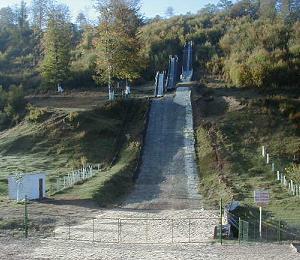 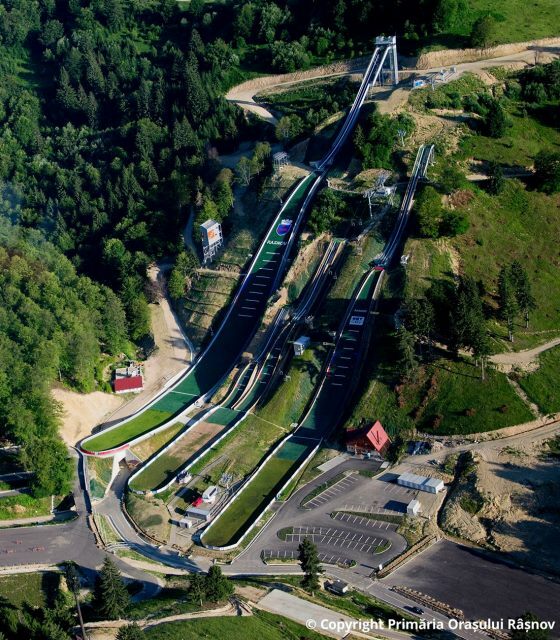 From July 2009 until summer 2011 a new ski jumping complex with K64, K35 and K15 was constructed at "Valea Cărbunării". 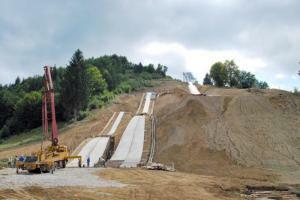 The financing of the around 3m Euro expensive project was financed with a sponsorship of the oil company OMV and Râşnov municipality. 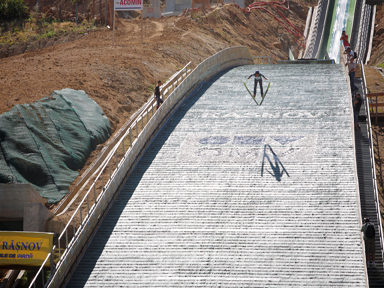 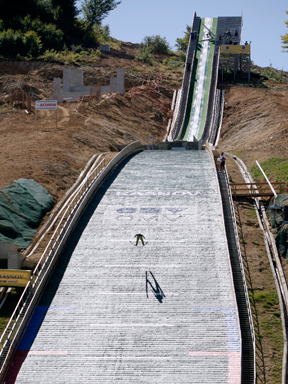 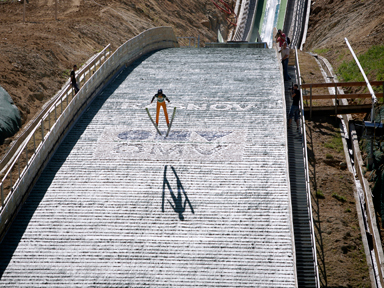 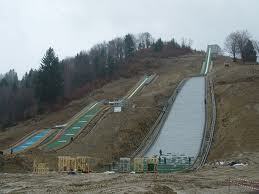 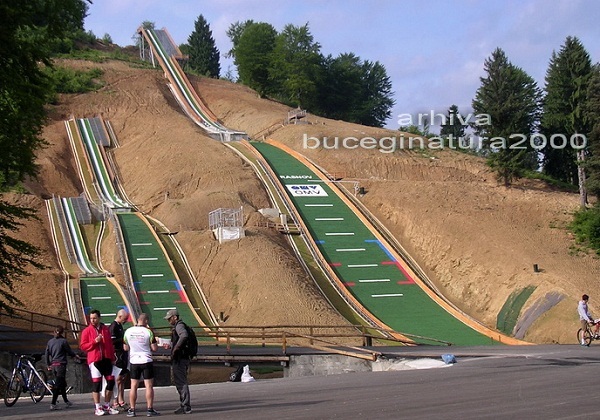 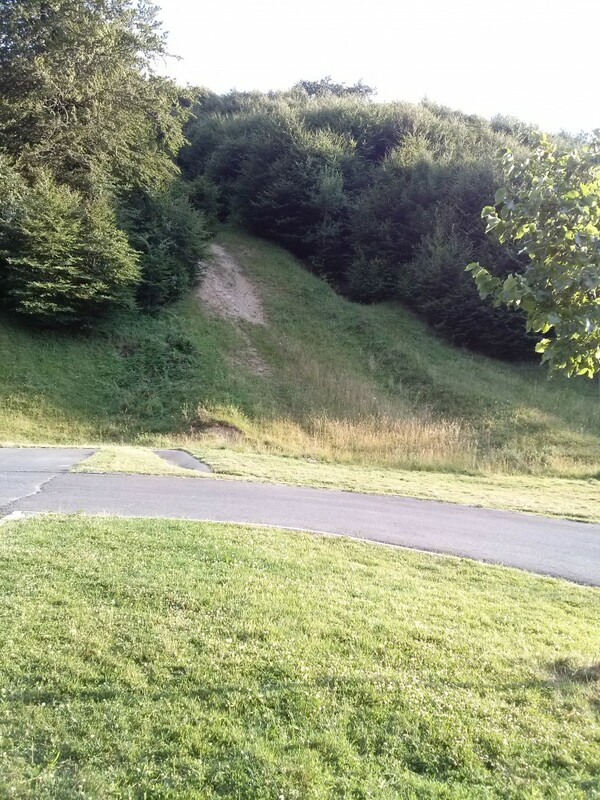 Training business on the ski jumping hills started on 2011-08-30 with the Romanian ski jumping national team. 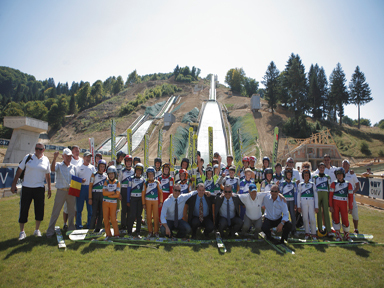 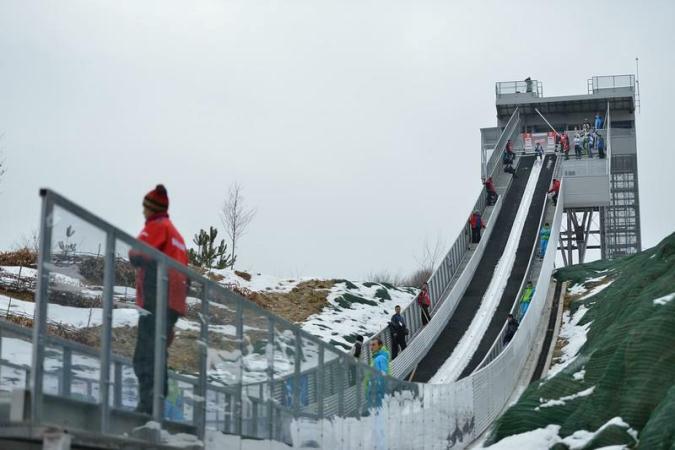 The official inaugration of the ski jumping facility took place with a FIS-Cup event on 2012-06-09, where even World Cup jumpers such as Thomas Morgenstern, Robert Kranjec and Roman Kudelka participated. 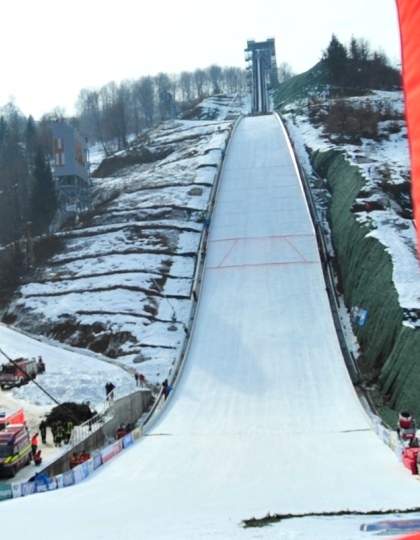 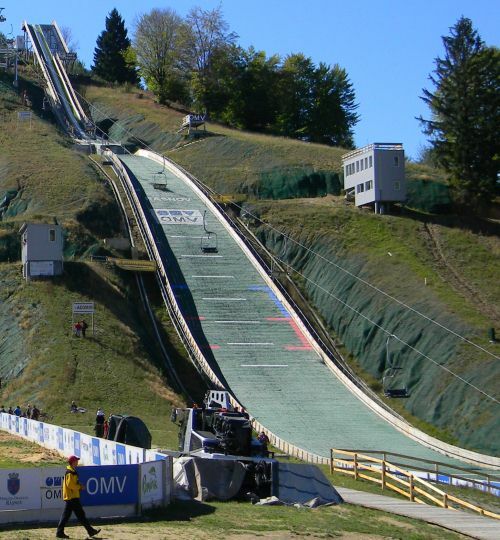 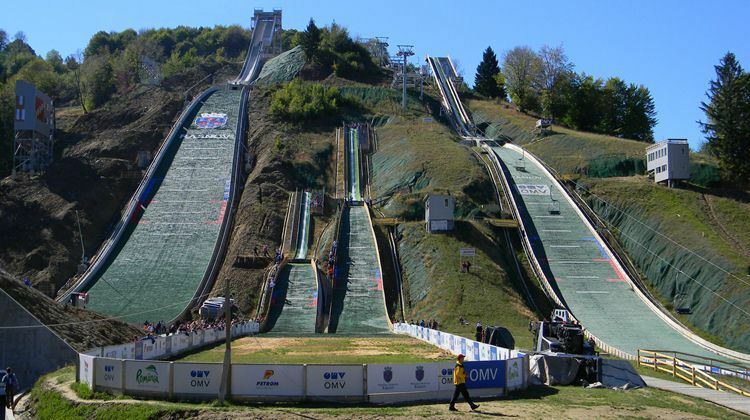 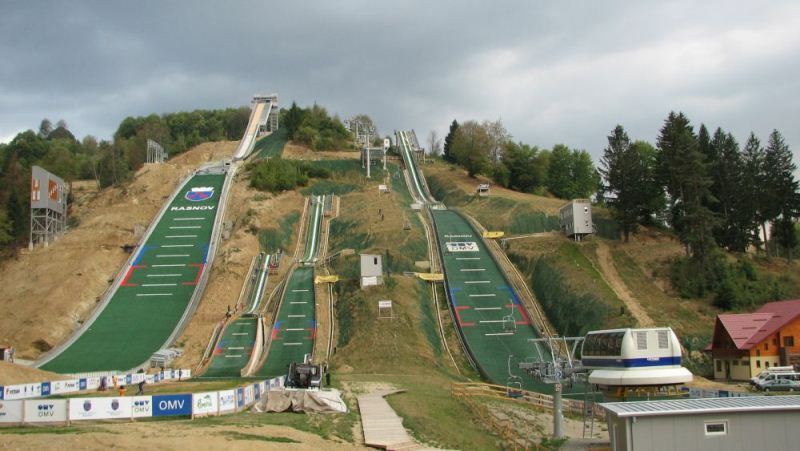 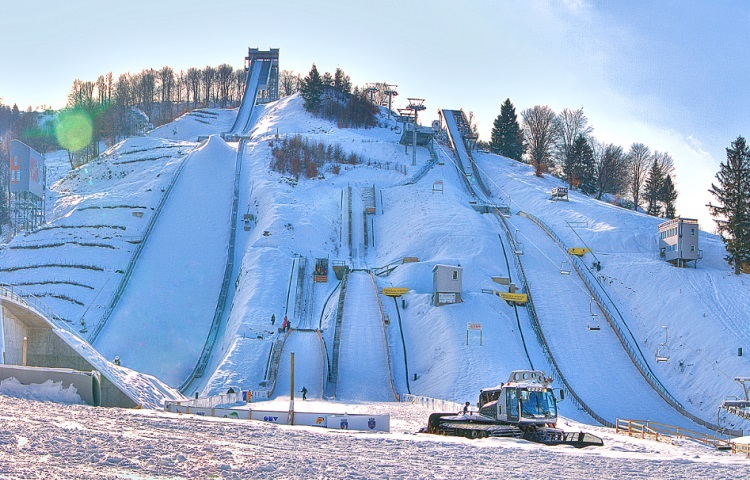 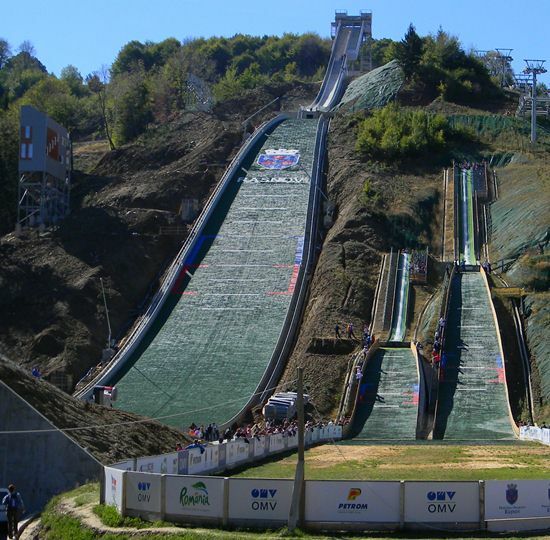 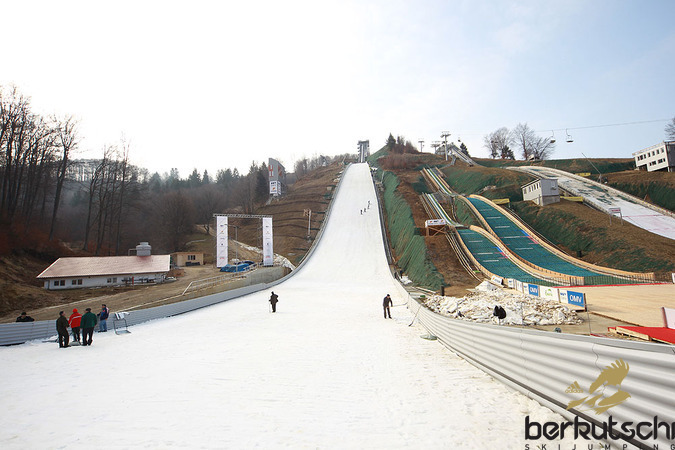 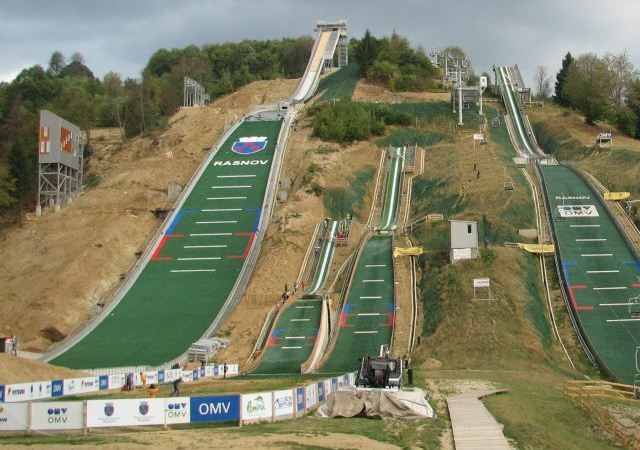 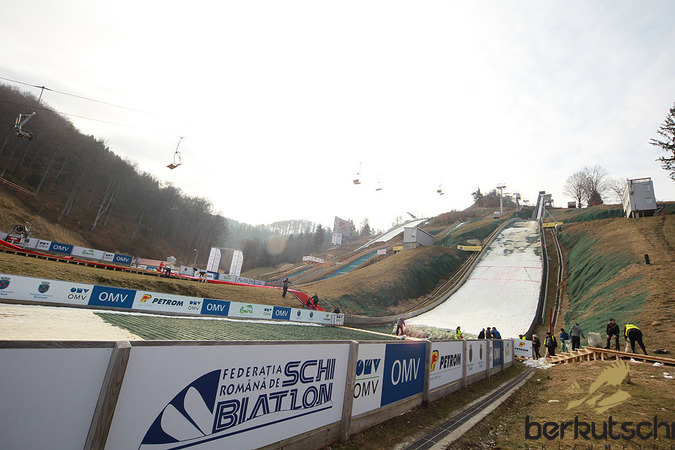 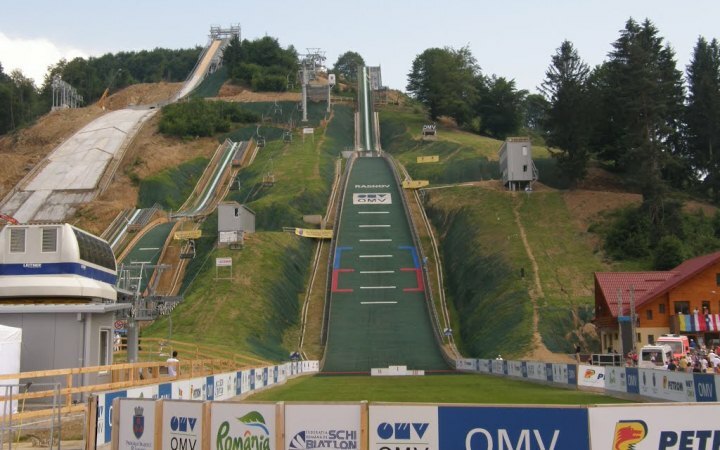 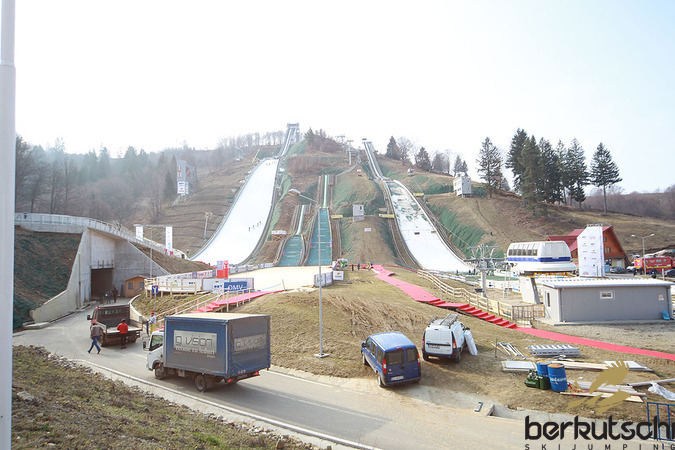 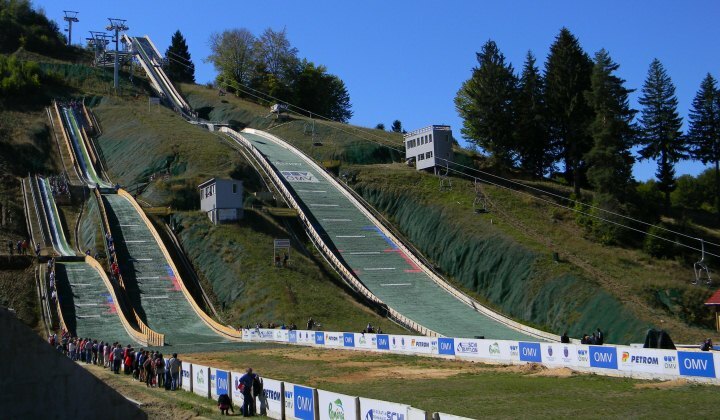 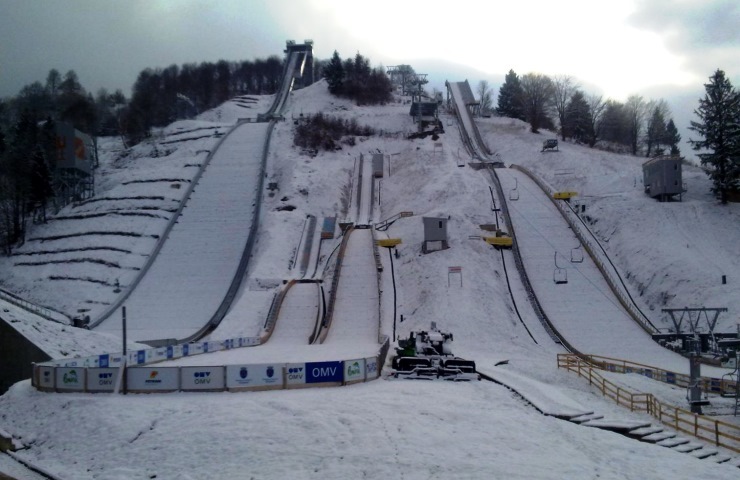 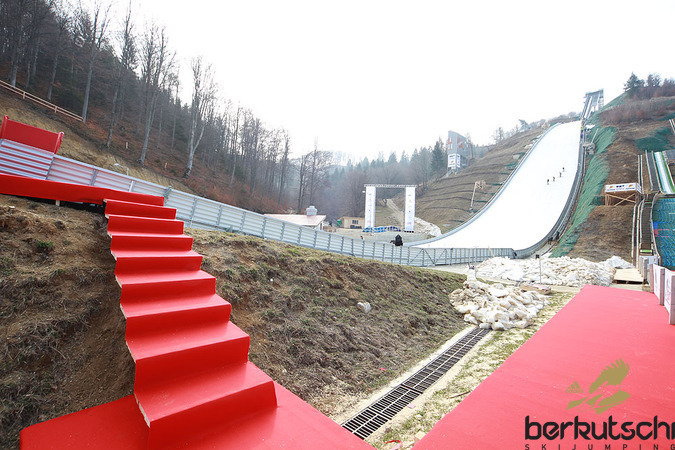 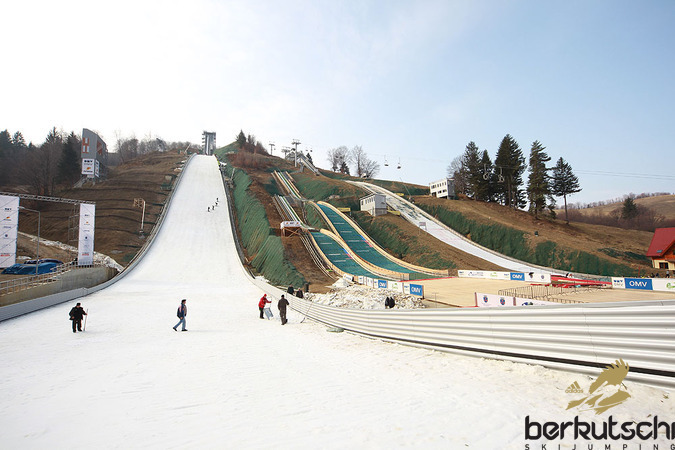 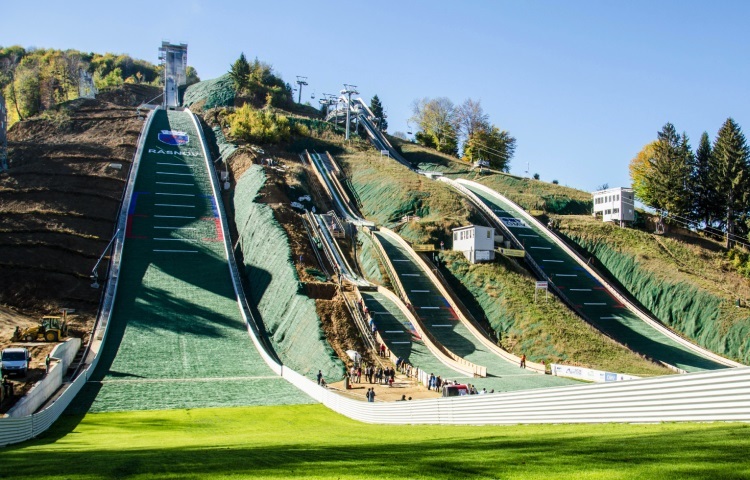 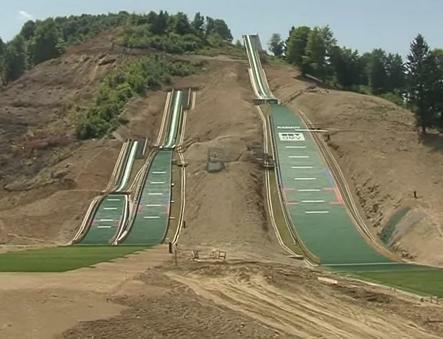 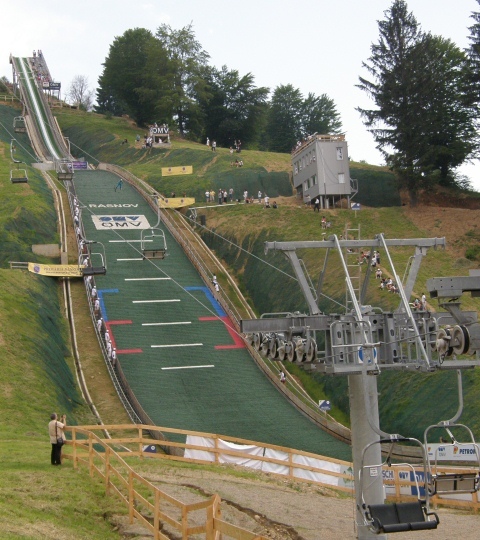 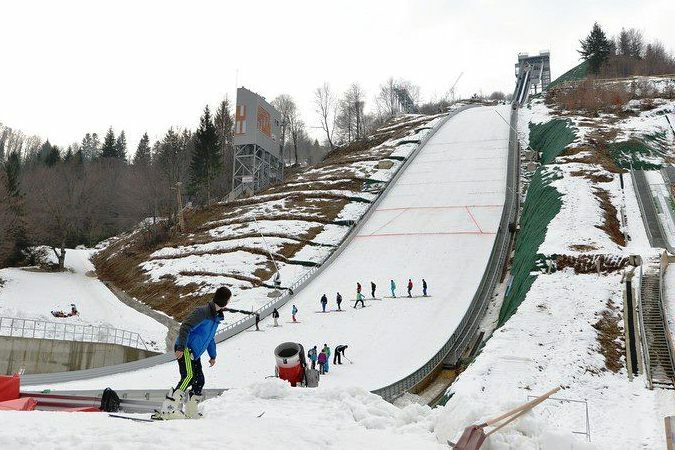 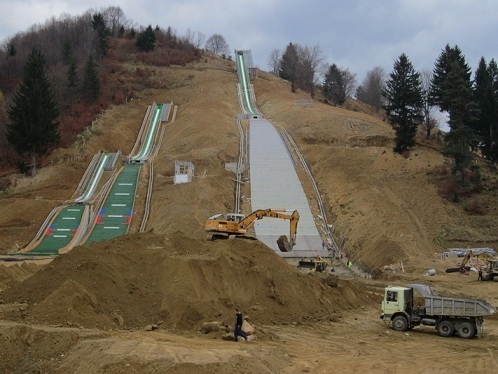 For the European Youth Olympic Festival (EYOF) at Braşov in 2013 an additional 90 meter ski jumping hill was constructed from summer 2011 to fall 2012. 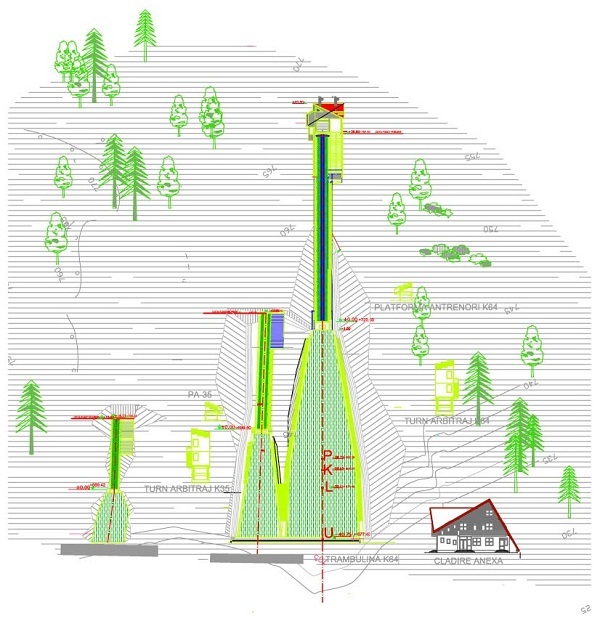 It was planned by a Romanian architect firm and the financing of about 4.5m Euro taken over by the ministry for tourism and regional development. 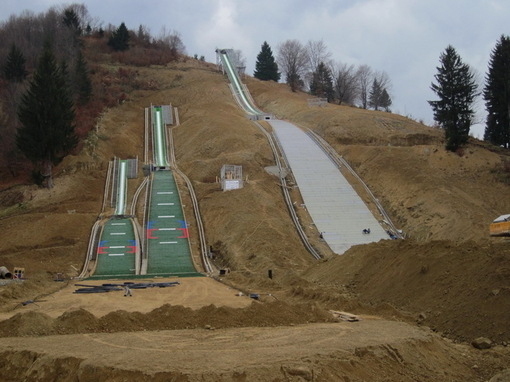 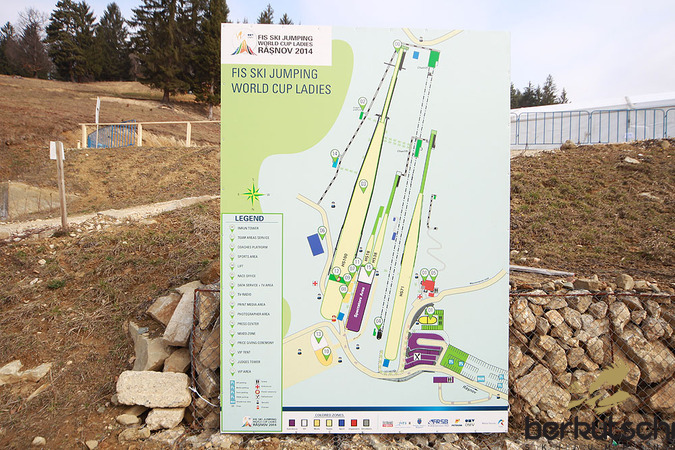 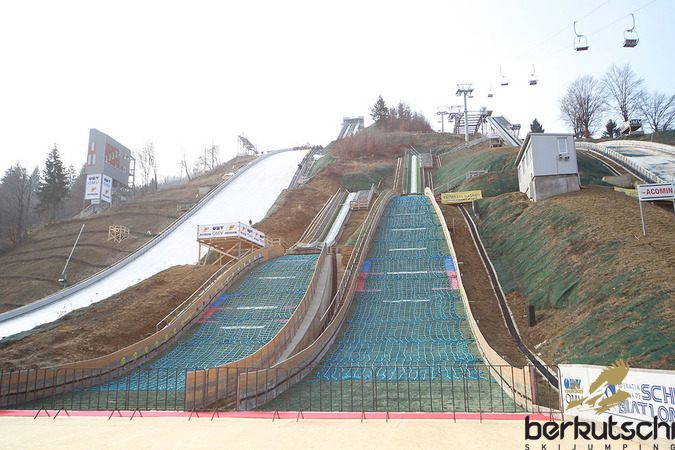 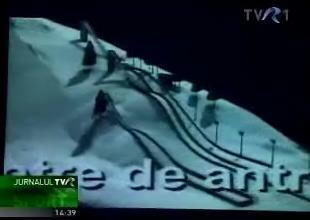 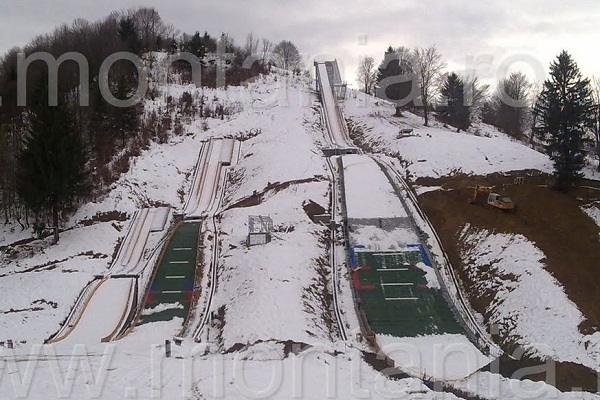 The works on the jump shall were finished by October 2012 in order to complete the ski jumping center of Râşnov with four ski jumps, two judges' towers, floodlights and a lift.